John Keats is intrinsically associated with London, and the easiest and most interesting way of exploring the places he knew is with Anita Miller Walks. Anita Miller is a qualified City of London Guide with a degree in History. She hosts a number of different walks in London, including Shelley: The Trumpet of a Prophecy. The two we're most interested in, however, are Keats in Hampstead and Keats in the City. 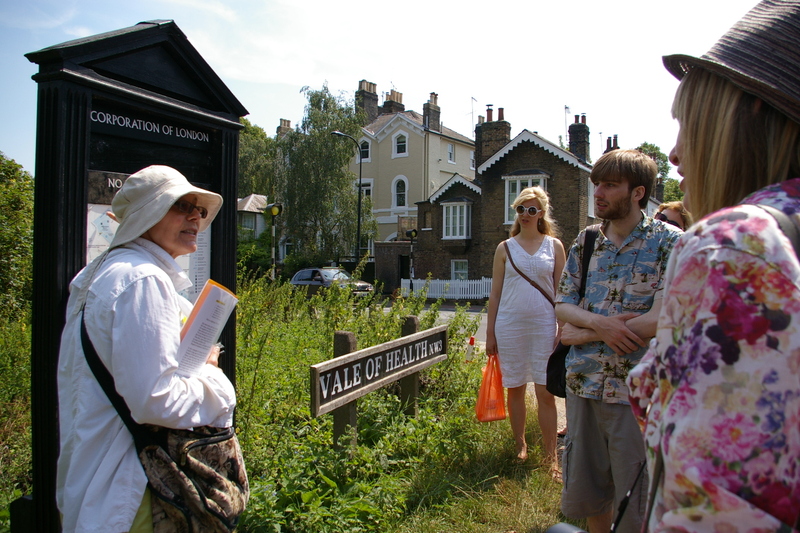 The Keats in Hampstead walk starts at Hampstead Tube station, and takes in Well Walk (where the Keats brothers lived for a while) and the Vale of Health (where Leigh Hunt lived when Keats first knew him), among other places. It ends at Keats House, which you can then tour. 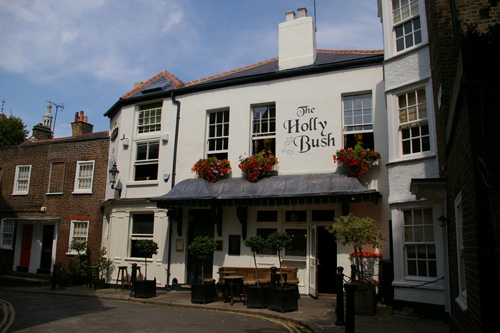 The Holly Bush in Hampstead has been operated as a pub since 1807 - so Keats would have known it. The building stands on the site of an old stable block. The Keats in the City walk begins at Moorgate Tube station, near where Keats was born, takes in a number of locations, and finishes at Guy's Hospital (where Keats studied medicine). Anita is a friendly host, full of information, and takes the time to read out well-chosen selections from Keats' poetry along the way. I highly recommend going on both tours if at all possible. For more details of the walks, visit Anita's website (link below). Tours are scheduled throughout the year, and will go ahead in all weathers except the most extreme. 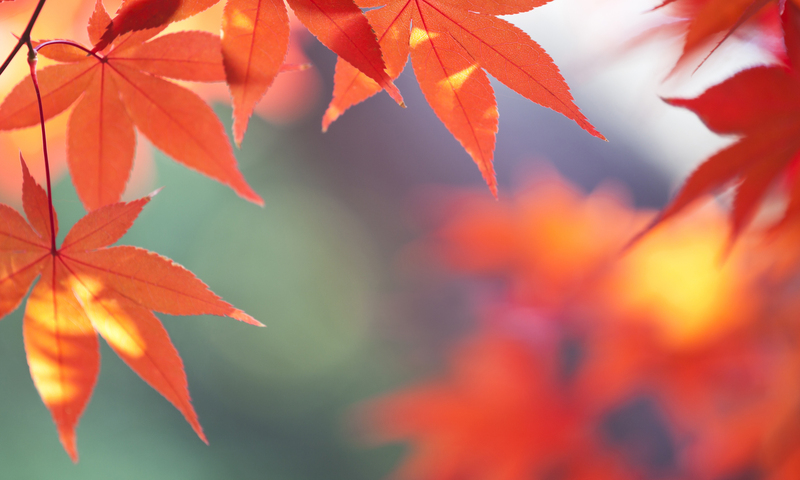 The Keats Walks are very popular, so you will need to book ahead for them. You can do this via the Keats House website (link below), which books events online using Eventbrite.